In larger corporations, each of these groups may involves many people. 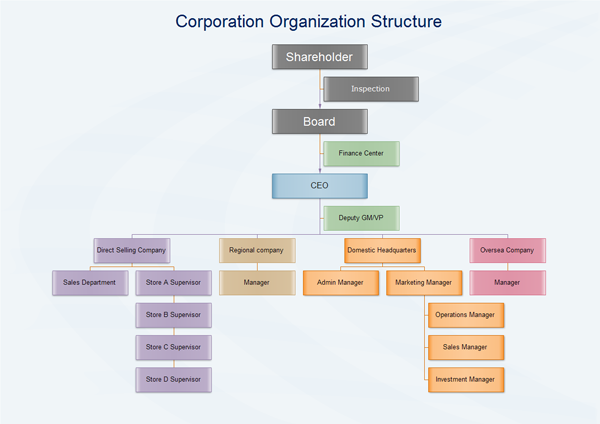 This following image represents a basic corporation organization chart for a multinational enterprise. The following organizational chart examples includes trading enterprise organizational chart, corporation organization structure, business organizational chart, retail enterprise organizational chart and service enterprise organizational chart. With Edraw Organizational Chart, you can create clear and comprehensive enterprise organizational charts even without prior experience.